It’s time to kick off your Monday with a bang! Or a boom. Maybe a fhoosh? Whatever your go to sound effect for productivity is, we here at Seamgen are starting the week by covering another San Diego startup. Onomatopoeia makes for fun words and surprisingly memorable company names. This week, we will be looking at FHOOSH. While the company’s name is fun to say, we picked FHOOSH for more than just that. In December of 2016, the company wrapped up its initial funding round with $2M venture led by Volta Global. A name like FHOOSH sounds fast but before we go any further on what they do, its time for an origin story. Founded in 2012, FHOOSH was built as a solution. Information security plays a crucial role in data and the folks at FHOOSH decided to take it into their own hands to meet client needs. We started FHOOSH because we were tired of filling out the same forms over and over. But we were also concerned with sharing personal and financial info digitally. We had to ensure our customers’ sensitive info would be fully protected, and we needed security that would scale to support vast data vaults. When we couldn’t find anything that met our customers’ needs, we brought together an expert team to create our own solution for data at rest and data in transit. And we built in security from architecture to implementation. Five years later, the team has a solid cybersecurity service. With how important cybersecurity is as we become increasingly digitally connected, the company aims to tackle advanced security issues. The sound of secured data speeding through cyberspace. The company promotes their platform around five core features. 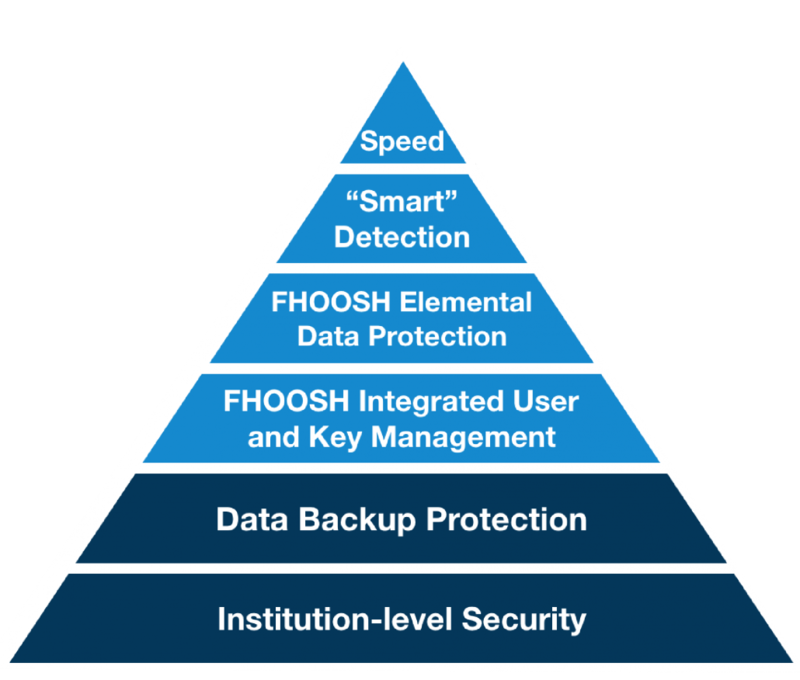 FHOOSH delivers on the promise of “Faster Data, More Secure™” with patented technology that fragments, disassociates, separately encrypts and then disperses data upon capture from the edge/endpoint through to the cloud. Curious about specs? We’ve got you covered and we’ll throw some statistics in there as well. Their tagline on speed is no joke as their data processing achieves encryption and storage performance rates that are up to eight times faster than unencrypted and 15 times faster than the competition. The platform also uses FIPS 140-2 compliant AES 256 encryption to secure, store, and retrieve all types of data. Cybersecurity is not the only thing the company excels in. 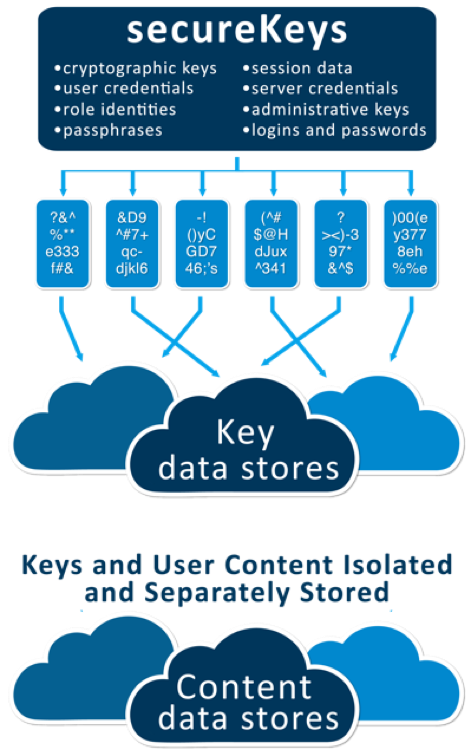 They also handle user and key management, as well as leveraging and monetizing data vaults. All of their products are meant to work together to provide clean, fast, and solid information security so that consumers can shop safely. FHOOSH aims to grow and adapt to the cyber threats out there. As the Internet of things grows and an increased reliance on cloud storage becomes more popular, an increased amount of information security is needed. One such threat that has recently gained exposure is ransomeware, but this is exactly the type of threat that FHOOSH addresses with their line of solutions. Interested in finding out more about San Diego startups or tech trends? Check these out!